Generally, most adults with refractive errors are good candidates for PRK (Photorefractive Keratectomy). PRK may also be a good option for patients wishing to undergo refractive surgery but who are not good candidates for LASIK surgery at Carlsbad Eye Care. Many people who have thinner corneas or large pupils, or who have undergone previous refractive surgery, are not good candidates for LASIK. In many cases, these individuals may safely undergo PRK surgery. People who lead active lifestyles, who play sports, or who have occupations that may increase their exposure to possible eye trauma are also not ideal candidates for LASIK surgery. This is because the corneal flap that is created during LASIK could potentially become dislodged as a result of eye trauma. For these patients, PRK would be a safer choice. PRK and LASIK are different in that PRK does not create a corneal flap. Instead, during PRK vision correction surgery, the thin outer layer of the cornea (epithelium) is brushed off, exposing the corneal bed underneath. This corneal bed is then reshaped using an Excimer laser. A bandage contact lens is placed on the eye, which helps the epithelium to heal properly. The epithelium heals back normally within 3-4 days. After the epithelium has healed, the bandage contact lens is removed by the doctor, usually at the 1-week post-op appointment. Patients must be at least 22 years old, with stable vision for at least one year prior to surgery. The best candidates for PRK surgery are those with moderate levels of hyperopia (farsightedness), myopia (nearsightedness), or astigmatism. Those who have thin corneas or those who have active lifestyles, such as active military personnel and others whose jobs or hobbies may put them at greater risk for potential eye trauma, may be good candidates for PRK. 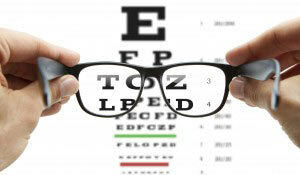 It is important to address any health problems or conditions before undergoing PRK to ensure your health and safety. Individuals with autoimmune diseases, vascular disease, immunodeficiency, or keratoconus are not good candidates for PRK or LASIK. In addition, women who are pregnant or nursing should not undergo PRK or LASIK. Pregnancy and nursing cause hormonal changes that can cause instability in vision prescriptions. Patients with excessive corneal scar tissue or who have had herpes virus infections are not good candidates for PRK. There are also certain medications like Cordorone, Imitrex, Accutane, and steroids that may make you ineligible for PRK surgery.